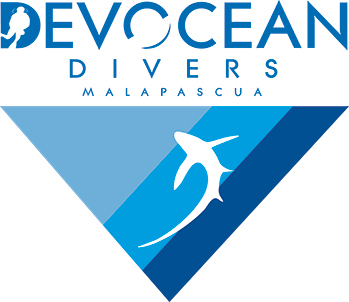 November 2016 - Devocean divers "in the deep we connect"
As one of the PADI scuba diving instructors of team Devocean Divers Malapascua I have been asked to regularly write a blog focusing on my life as an instructor on the paradise island, Malapascua. 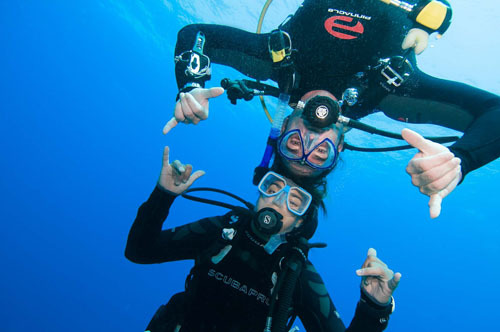 Yes it’s hard work as a PADI instructor but you have to love it! Our office has sun, sea and good times. When we are not busy or just need a day to recharge we usually spend it relaxing and recharging…zzzz. But sometimes we have to make the effort right? Get out there to discover those parts of the island we usually don’t see. So after a few busy weeks on the job with Devocean, teaching PADI courses and getting those post-course thresher shark dives in with many of my students. Finally I managed to land a few days off! Time off is great, even though my gills tend to get a bit sticky. I did welcome the opportunity to explore Malapascua island. To head out and see those hidden beaches and villages I hadn’t seen before. My friend and I headed off and decided to try and reach the northern beaches of Malapascua Island. After breakfast we headed off on ‘the main road’ but before we knew it we had wandered off that road and where wandering down smaller roads. Yes we got lost an loved it! The small paths lead us to some incredible pretty beaches and amazing cliffs with stunning views and plenty of great photo opportunities. When we set off we passed through the village of Malapascua, the locals call it ‘the barrio’. It’s located on the west side of the island and lot’s of people live here. 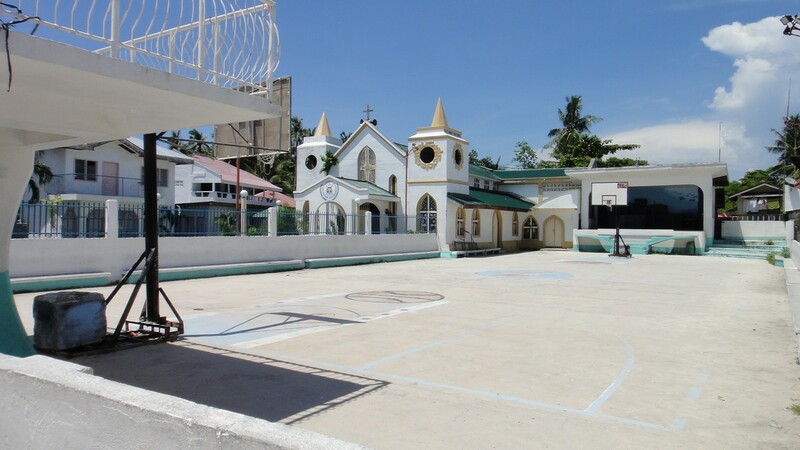 Of course as with every village in the Philippines there is a basketball court and a church. A few friendly locals came out to greet us and helped us finding the way through the maze of small roads and paths. It was the first time I had actually walked around in this area and I really enjoyed it a lot. The locals are so friendly and love to talk to foreigners. When we continued further north we saw the light house of Malapascua. I have seen it many times before from the sea when we dive ‘lighthouse reef’. This time we walked up the hill it stands on and once there we where exhausted but the amazing view compensated the hot effort. Remember this if you decide to go wandering yourself: bring sunscreen, a cap hat and plenty of water! and try to head of early and look for a shady area to relax during the hottest hours of the day. Have a siesta, just as the locals do. When we finally arrived in the north we passed through a small village. We decided to quickly move on as the heat had gotten to us and we desperately needed to cool off. Once we reached the sea it took us very little time to jump in and cool off. Hanging out in the water we soon noticed a small bar/restaurant, Perfect of course! The chicken adobo was good and the chicken was from the village; real organic chicken. After lunch and a casual cocktail it was getting that time to head back. We figured we deserved to hitch a motorbike ride back home. This popular local way of getting around is called ‘Habal-habal’, it’s cheap and we had a nice smooth ride back. Using a habal2x to get around is something I also highly recommend …but do max. 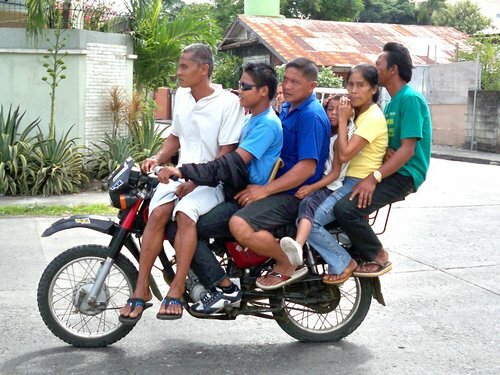 2 passengers and a driver, just to be safe. Totally loved the day! … a nd will definitely will do something similar when I have the time again. But for now I am ready to teach you how to scuba dive or upgrade your diving knowledge. 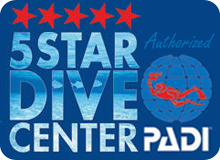 Who knows you might decide to become a PADI instructor like me and get to wander the world and have the privilege to teach people all about the coolest hobby ever and show them the wonders of the underwater world. Thanks for reading my blog and see you on Malapascua soon!